Rule #1 is follow the prompt. I liked this rule when I thought the prompt was to tell a story about Atlanta's explosive growth. Did you know that Krog Street Market (a millennial and hipster playground in the Old Fourth Ward) is just blocks away from the densest concentration of section-8 housing in the Southeast? This is the sort of story I imagined telling. But then I learned that this was a version of the prompt that a game of email-driven telephone had distorted. The real prompt was much harder: we were to cover a phenomenon that Atlanta led the nation with. Transformation was still the crux, but this theme required that Atlanta be at the forefront of leading that transformation. And what is Atlanta on the forefront of? To get beyond Atlanta's most obvious "firsts," required a deep Internet search. 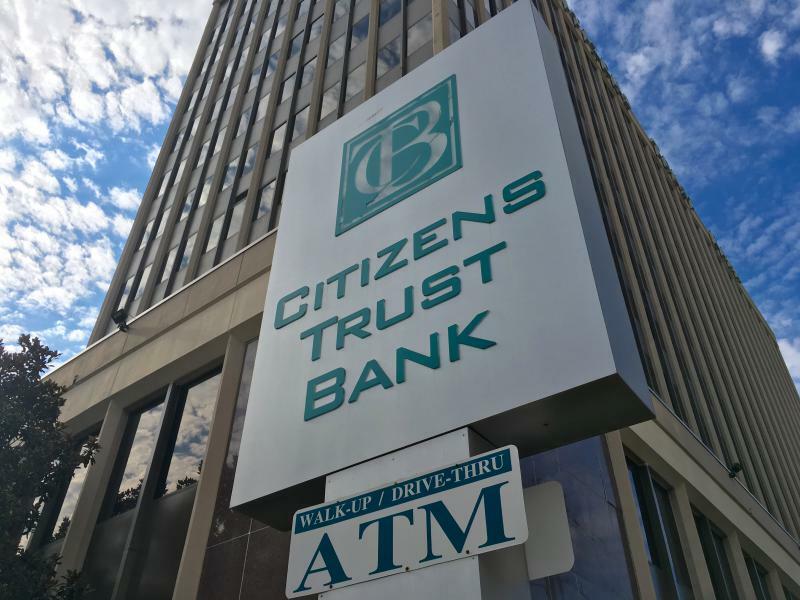 Luckily, a news story appeared just as my resolve was beginning to disappear: outraged Atlantans were flooding to Citizens Trust bank in the wake of the latest acts of police brutality. This was a compelling story, but I was wary to commit - how could I report on an event that I wasn't even on the periphery of? I felt like such an outsider to this story that I was dumbfounded as to how I could ever get on the inside. Day 1 of Next Generation Radio, my mentor, Charles Edward, showed me how: show up to the scene. It was as simple and intimidating as that. Luckily, he took the lead. I watched him as he introduced himself, and then me, to the bankers and security staff. It occurred to me how simple the next step was, too. If the first step was to show up, the second step was to just talk to people. Following through with step two out of two. Day two, I was ready to implement this course of action. I showed up at 8:30 AM with my Tascam in tow and extra batteries. And then I waited two hours for anyone to show up. Charles gave me an insider's scoop: this is reporting - a lot of hurry up and wait. So we waited until, sure enough, the lines that we had heard about amassed. I started getting antsy knowing that any minute now, a new account holder would walk out the door, and I, with my bulky equipment, would have to speak up. The first interview went well. Tiara Carter, a nurse from Kennesaw, was articulate and brimming with passion that translated well into audio. She had driven over fifty miles to Citizens Trust after working a twelve-hour shift. I got the feeling that she was really talking to us. Some of the interviews that followed felt less like a conversation and more like a question-and-answer session, but Carter was remarkably present. I believe that the interview took this natural and relaxed form because we were truly listening to one another. This, I had learned from my bible, "Sound Reporting: the NPR Guide to Audio Journalism," is paramount to quality audio. So I was sure to listen to my subject. Preparing a list of questions was helpful, but referencing it during interviews was perhaps not. Any act of preparation is your friend, but the whole point of preparation is to be ready for the moment when it comes. And the interview is that moment. So I learned to let go and listen. The rest of my troubles came from my equipment. How one casually whips out a boxy black recorder without intimidating your subject or interrupting the interaction is still a question I am investigating. Another issue is strength - of my lack thereof. I am also looking into ways to increase my muscular stamina, as holding a microphone steady for seven to twelve minutes proved to almost be too taxing on my petite frame. That said, I managed to get the job done by repeating this mantra: "you're getting great audio, you're getting great audio, you're getting great audio." And I did get great audio, which surprised me. I learned that stories are more approachable than I first thought. "You're getting great audio, you're getting great audio, you're getting great audio." When I first read about the #BankBlack movement, I felt like an outsider. But it was very easy to advance towards the inside. Like Charles taught me, all I had to do was show up and talk to people. As he put it to me from the driver's seat of his car, "stories happen out there." He pointed to the city skyline to mean the outside world. "Newsrooms are where you do your planning, but once you know what you want to cover, go there." This was a surprise because I have many story ideas floating in my head. But for some reason, they feel unfinished. Before Next Generation Radio, I assumed that these stories were too nebulous to be told. So I let them molder inside my mental folder of story ledes. Now I know that these stories exist - out there, in people. All I have to do is talk to people to draw these stories into existence. Journalism is accessible - and that surprised me.